Peter has been doing massage ever since he discovered that there was such a thing. It is his “calling” that he loves to do. 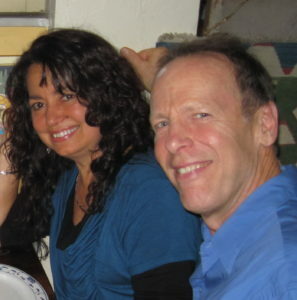 He has been licensed and working as a massage therapist full time on Maui since 1991. Institute of Zentherapy: founded by “Dub” Leigh” who personally worked with Ida Rolf, Moshe Feldenkrais, Loren Berry. 1992; taught a varitey of techniques based on these three people. Trained and Certified at the Spa at The Four Seasons and Spa Kea Lani to perform “spa treatments” – scrubs, wraps and specialty treatments etc. Intuition Development Classes 1980 to 1982 –Berkeley,CA: learned Energy Work, Emotional Release, to “read” client physically and emotionally. Growth Seminars helpful for Massage Career: includes hundreds of hours with various techniques from Feldenkrais, Yoga, Sufi and Gurdjieff movements, to emotional release and meditation. International Exposure, from world travel, experiencing many different cultures and massage techniques: Egyptian, Danish, British, Indian, Thai, Indonesian. A lifelong pursuit and personal practice of healing and wholeness. Education: Graduated Hillcrest High School,Dallas,Texas: UniversityofTexas: two years credit with 3.2 GPA pre-med and Asian studies. Travel: Traveled and worked in Middle East, Europe,Persia(Iran), Asia, and West CoastUSA.